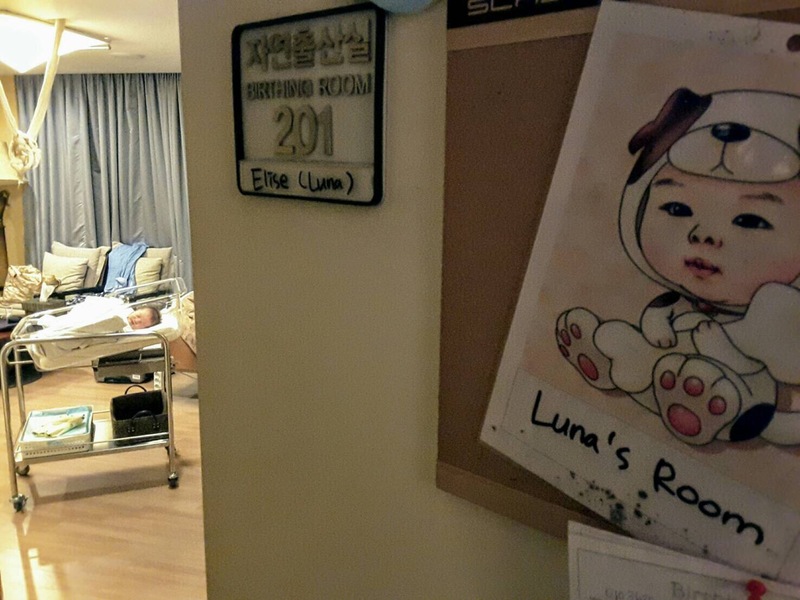 On Day Two of Luna’s life, she met her two older sisters for the first time and headed to her home in Seoul! 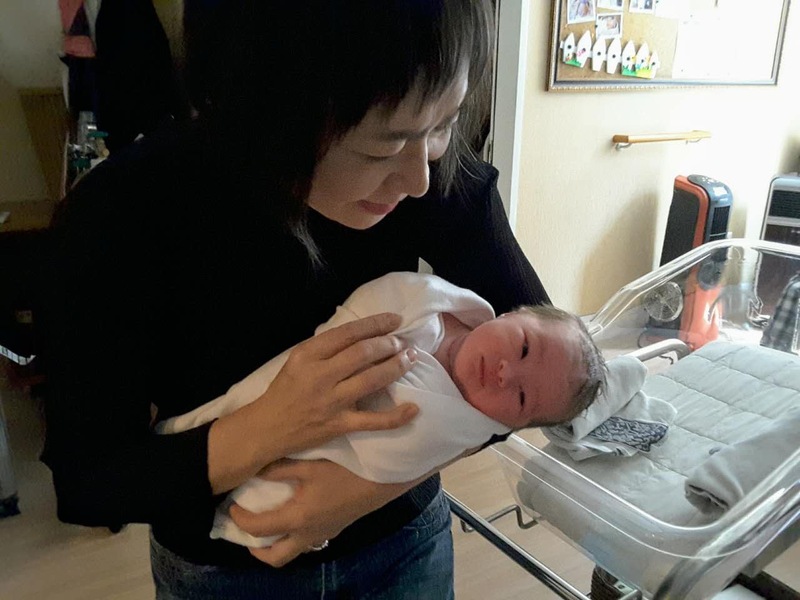 We enjoyed our time in the birthing center, however, where the nurses are available to help with the baby all hours of the day, and they monitor momma’s vitals and feed her all sorts of delicious food as well. We’ve had lots of soups and two visits from the lactation consultant to make sure everything was going well with Luna’s feeding. First family pic as a party of five! Eva enjoyed the bed at the birthing center cause there were all kinds of crazy pillows to support breastfeeding. Snuggles with grandma, or as she prefers to be called, Oma, who stayed with momma and Luna at the birthing center. Each baby at the birthing center gets a sweet suite. Note there are those cloth ropes that typically hang down before birth so mom has an option to hold onto those if she feels they’ll be helpful. 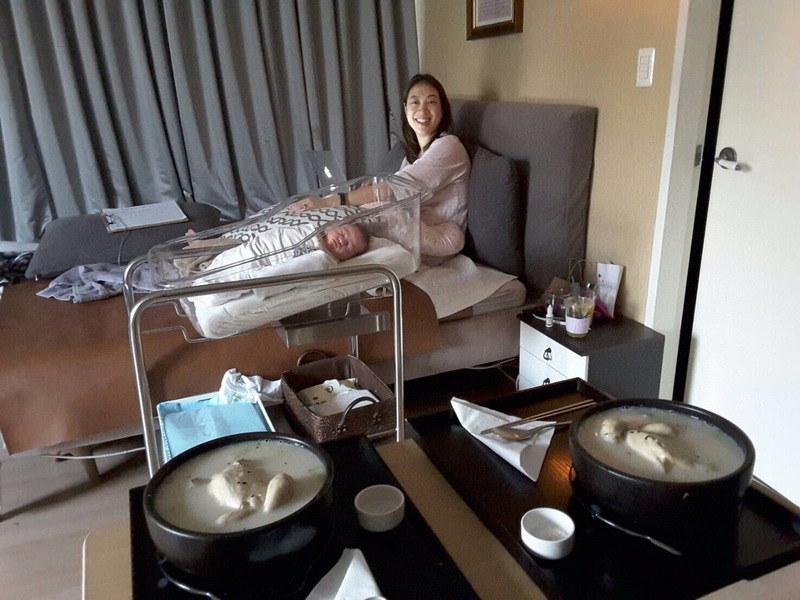 Dr. Chung, or OBGYN, treated us to dinner of samgyetang, or Ginseng Chicken Soup, the night of Luna’s birth day. It’s full of nurtrients and deliciousness. Oma has been staying with us, too, so it’s been great fun hanging out, except for Luna’s rough first night on earth, where she just could not get satisfied with the colostrum momma was producing for her. 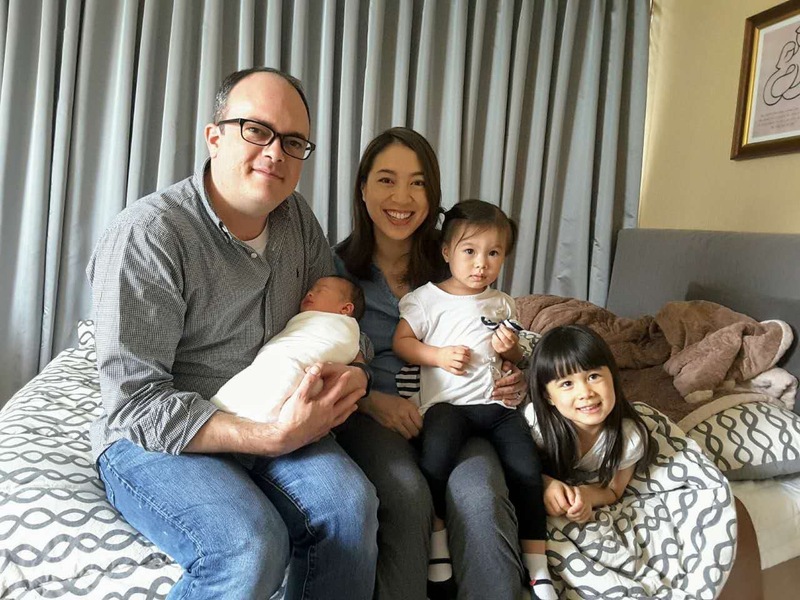 It wasn’t enough to satiate her appetite and her latch wasn’t as sealed as possible until she got the frenectomy before going home, which made for a fussy time. But now that her lip tie is clipped, she’s sleeping and eating much more comfortably. 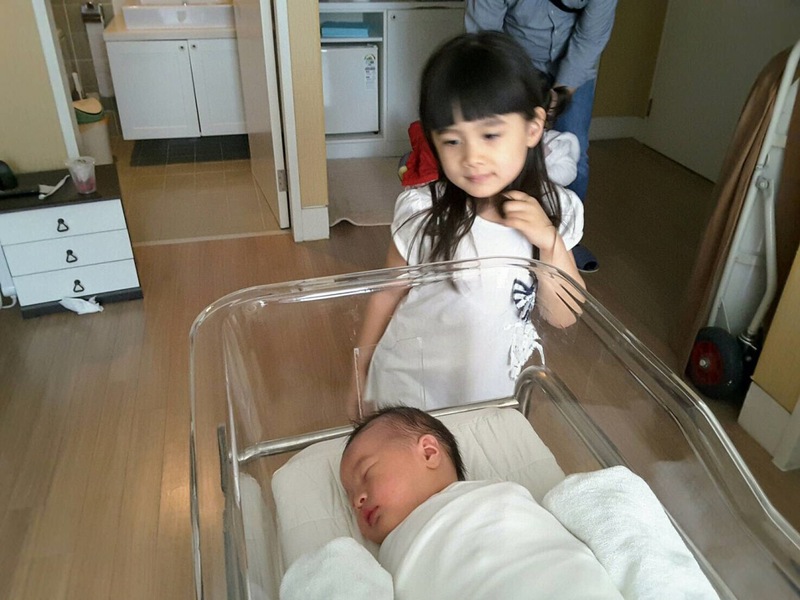 Posted in Family, MilestonesTagged birthing center, Dr. Chung, Mediflower, samgyetang, Seoul, sisters, soupsBookmark the permalink.